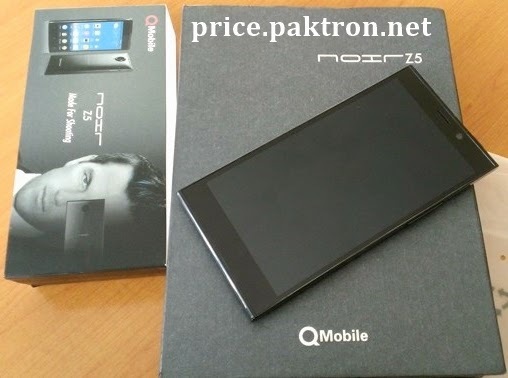 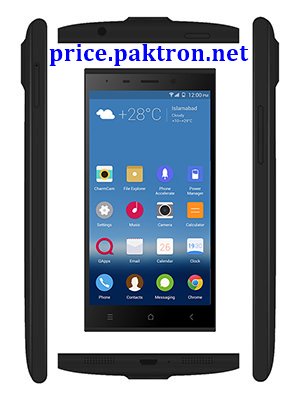 Qmobile is the number one selling brand in Pakistan, as we all know that last expensive smartphone by qmobile is noir Z4 after success of Noir Z4 now Qmobile Introduced Noir Z5 at same price but with more features. 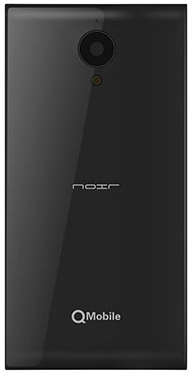 Noir Z5 smartphone looks like a square and clear stylish body, Noir Z5 cannot support memory card because it has 16 GB built-in memory. 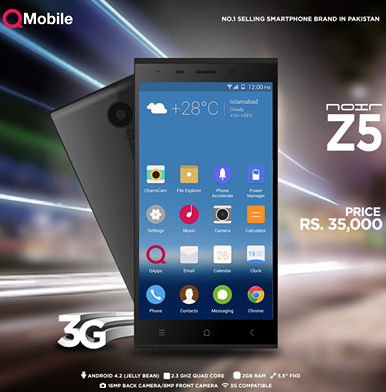 Don't worry about Noir Z5 speed it has Quad core processor and 2 GB RAM which is enough. 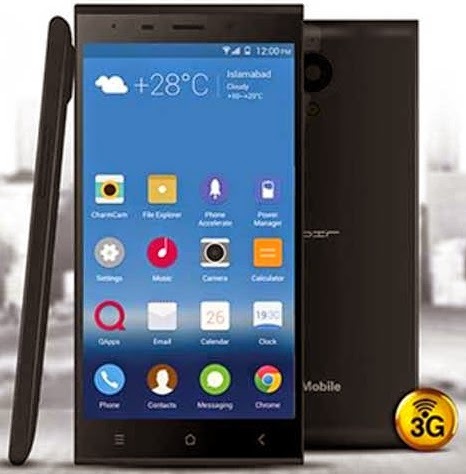 Android 4.2-Jelly Bean, 5.5-inches Full HD display with 150.6 x 75 x 9.5 mm size, 16 GB built-in memory with 2 GB RAM, Single SIM (Micro), Wi-Fi 802.11b/g/n, GPRS / EDGE, GPS/AGPS, 3G, FM Radio, Torch, Bluetooth. 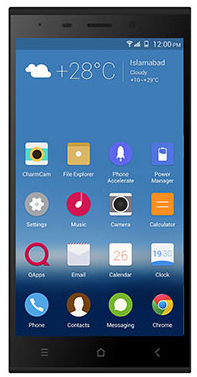 16-Mega Pixel Rear Camera with LED Flash, auto focus and 8-Mega Pixel Front Camera For own snaps and video calling.